It is important to explore your career options to help you make decisions about your employment. 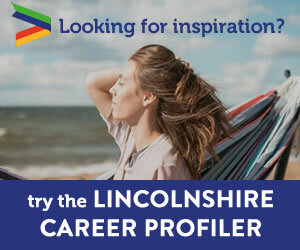 Here, you can find some relevant information to help you with your research including employment data, industries and job roles across Greater Lincolnshire. We hope this information helps you when looking at jobs you are interested in. 525, 100 people are employed or economically active across Greater Lincolnshire out of 649,700 across the region who are aged 16-64. (80%). Of these, 53% are males and 47% are females. There are also a further 36,400 unemployed people looking for work and 28,400 students who will be working towards employment in the next few years. Previous research has shown that the effects of retirement, migration, and expansion in the workforce over the period 2012 – 2022 would mean around 200,000 jobs would need to be filled. Latest research (covering the period 2014 – 2024) shows that this figure has grown to around 207,000 (made up of 186,000 retirements and 21,000 new jobs). If we include the Greater Lincolnshire LEPs target of 29,000 new jobs created over the life of the growth deal projects then this level of replacement demand hits 236,000. The replacement supply of labour by 2024 is projected to be around 111,000 people (based on Office for National Statistics 2014 based sub-national population projections, and therefore take into account the effects of current migration levels) which means that there will be a sizeable gap in the workforce of approximately 125,000 people. The careerometer can be used to explore and compare key information about occupations to support the process of identifying potential careers. The careerometer provides access to a selection of headline data relating to pay, weekly hours of work and future employment prospects. Simply type in the title of the job you are interested in hit the magnifying glass. You will see a drop down appear from which you can select your preferred occupation. The data relating to hours and pay are estimates based on the Annual Survey of Hours and Earnings (Office for National Statistics). The pay estimates provided relate to mean pay for full-time jobs in an occupation. The estimates of future employment prospects are projections taken from the Working Futures study and are based on past employment trends.